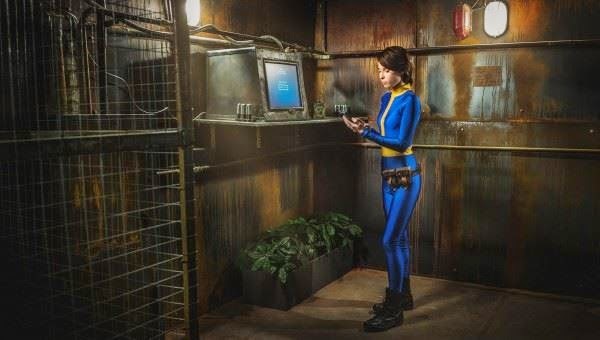 Experience Vault Escape in Real Life! You are sending us so much incredible things that you've done lately, various projects such is cosplay that you've done, mods that you've created, fanart, etc... And you might think that you've seen it all, but then again, every now and then I got some incredible, awesome, no - epic thing in my inbox. This one is sent by Dmitry Medvedenko, twitter - @DmitryVostok, and it is very interesting, so check the whole thing below. As never change the fans of Fallout. Once a fan - forever a fan (at least until 2077). But if you think there is nothing you do not know about the series - no random encounter unseen, no cabinet unlooted, and that there's not much left, but wait - think again! 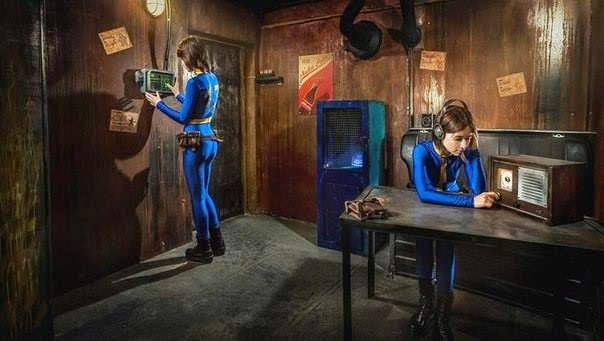 How about experiencing the vault escape first-hand, in real life?! 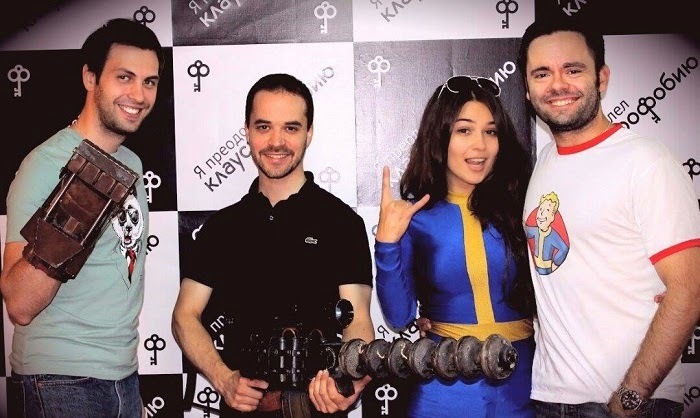 Moscow offers the opportunity with the help of Claustrophobia - a project that makes a whole variety of "Escape the room" kinds of quests which put forth not just the fun and logic puzzles, but also the ambient: the decor, props and tasks themselves provide for believable atmosphere. The quest "Vault 13" appeals to the fans of the legendary franchise, even though there's no broken water chip involved, gives a great Fallout experience. You are a group of descendants (2-4 players at a time) trapped inside a Vault. The war is long over, the nuclear dust has settled and the mainframe says it is safe to leave. Yet unlocking the vault is a complex procedure. And, unfortunately, the Overseer died without conveying it to anybody else. Your task is to find a way out, as life-support systems will soon deplete. The Vault specializes in horticultural experiments, and by manipulating the plant support systems you may find a way to trigger a fail-safe mechanism and release your friends and yourself into the new world of the wasteland.. Such is the backdrop for the quest. You and your partners are given 60 minutes to mastermind your way out of the Vault. Use teamwork (it is virtually impossible to complete the quest alone, at least the first run) and a variety of skills to open the Vault door! Perception for "sniping" a code somewhere far, far away, Strength to smash open lockers that won't open otherwise, Agility and Endurance to manually operate a reserve source of power, Charisma to convince your friends to do what you need them to do, and, of course, Intelligence and Luck to figure out what the heck needs be done in the first place! The quest is great fun! You get the feeling the creators truly adore the franchise. All of the tips and tools you will use are known to the series fan - among props and tools you will find: a Powerfist, a Gauss rifle, lots of Nuka-cola bottles (and Quantum), a Dean's Electronics book and even a set of T51-b Power Armor! If you are ever in Moscow (which is an experience on its own) - be sure to stop by with a partner or three, for a truly memorable time as you may have imagined it while playing one of the greatest games of all time. Cost is $50-100 per team (depends on the time of day / week) for the hour-long trip to post-apocalyptic America. Be sure to book at least two weeks in advance at Claustrophobia. P.S. We completed the quest in 35 minutes and never used a single 'hint' from the operators, and that is close to the record time!